SL. ANGEL BREATHS is my latest publication. It is a story which links life on earth with life in the realm of the angels. Angelique has been robbed of ever having a life with her earthly family and of walking the earthly path with her soulmate. Instead she watches over them from her position in a higher realm. Had she lived she would have had a comfortable life, her parents having reasonably well paid jobs, both with prospects. What is heartbreakingly lacking in their life though is a family. Her soulmate by contrast is the son of a homeless drug addict and his start in life is a lot more difficult. Although they haven’t met on the earth plane their souls are connected and each is aware of the other as they run parallel in their complimentary realms. IAN. 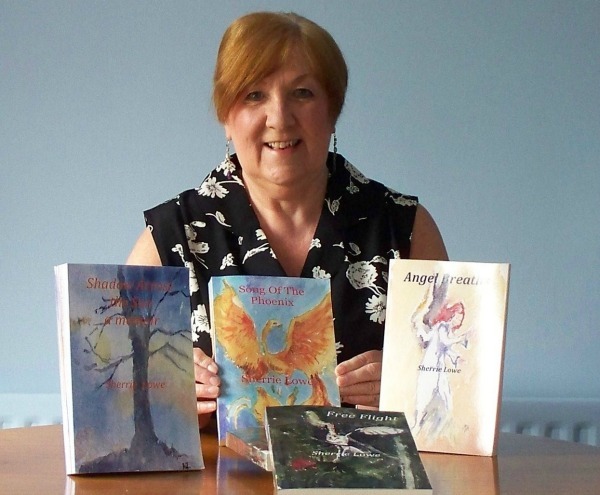 Is Angel Breaths published in print, e-book or both? IAN. Where can we go to buy Angel Breaths? SL. ANGEL BREATHS was inspired by a news item on abortion laws which asked the question, ‘At what point does a baby have a soul?’ It made me wonder that if it was as early as an embryo, how would that soul feel it if were to be aborted or miscarried? SL. I usually have a rough idea of where I’m going but my stories evolve often into something quite different to what I’d originally planned. IAN. How much of the book is realistic? SL. I’d say about half and half. As no-one has ever truly passed into the afterlife and then returned we cannot know what it is like, we can only form our ideas by what we read, see and experience. I have had experiences with it as I write about in my memoir SHADOW ACROSS THE SUN and my interest in it stems from them. This is my own perception. SL. The Clairvoyant’s Handbook by A.L.Hale. I don’t wish to hone my psychic skills specifically I am just fascinated by the afterlife, a fact which I think is reflected in several of my books. IAN. Are there any new authors that have caught your interest? SL. 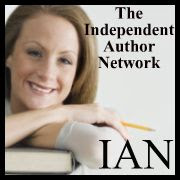 Since becoming an indie author myself I have read many other indies and in truth I have found some of them to be far superior to some traditionally published authors. These are the ones that come to mind: Maureen Turner, Bev Spicer, David P. Perlmutter, Terry Tyler, Brooklyn Hudson, Peggy A. Edelheit, Geoffrey West. SL. I’d like to. I was forced to give up the career in education that I’d trained for because of my health. Writing is something I can do at my own pace and I’d love nothing more than for it to earn me a living. SL. I have lots of favourite authors and have been influenced by many but to choose one of them I’d say Frank McCourt for his memoir Angela’s Ashes. I was struck by his honesty and humour, even in the most difficult times of his life. IAN. Who designed the cover(s)? SL. An artist friend from my creative writing group called Mary Bennett paints original watercolour paintings for my covers. SL. The advice I’d give to other writers is to keep at it. The advent of the ebook has given authors the opportunity to achieve what they aimed for when they wrote that first word, to have it read. SL. To my readers I want to say a huge thank you. I am humbled that you have spent your hard earned money to buy my books. I really hope that I haven’t disappointed you and that if you’ve enjoyed one of my stories that you will try another title. IAN. What were the challenges (research, literary, psychological, and logistical) in bringing it to life? SL. My main challenge is always my health. The writing aspect I enjoy but if I were well enough I’d love to go out physically to do my research as I did with FREE FLIGHT, that was a wonderful experience. Since discovering FeedARead.com who have published my paperbacks and KDP for the ebooks it has taken the pressure off that massive challenge of getting published. All I need now is that lucky break to sell millions! SL.The book I am working on at the moment is a sequel to my memoir. I’m thinking that the title will be JUST TWO MIRACLES but that could change. I’d had an idea to do it but it was friends and family who’d read the first book who encouraged me to make a start. Although it is essentially for friends and family I think that many people will relate to my life experiences. Lots of us go through the same joys and troubles but we all react differently. I’ve found by writing both fiction and non-fiction that even in the darkest hours there is humour. 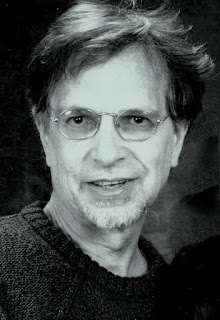 M. R. Mathias is the author of the international bestselling “Wardsone Trilogy,” the Locus Poll nominated “Dragoneer Saga,” fantasy series, and the “Crimzon and Clover Short Story Collection.” He is also the author of the award-winning horror thriller “The Butcher’s Boy” under the pen name Michael R. Mathias. “Saint Elm’s Deep” is Mathias’ latest entry in the highly-rated fantasy series, “The Legend of Vanx Malic.” Book One of the series made it to #1 in the Amazon Fantasy/Mythology bestsellers list in May 2013 and Book Two has been as high as #3 on that same list. In “Saint Elm’s Deep,” our hero, a half-zythian bard named Vanx, is being drawn to places from his father’s infamous past. After helping Darbon get over the loss of his first love, and finding a map on a grueling hunt, Vanx and his new companions decide to travel deep into the Bitterpeaks. There they hope to find the fabled Hoar witch's palace in a hidden valley of the treacherous and magical Lurr Forest. The story broadens, as we delve into Vanx's past and the future of as-unlikely-a-group of heroes as you will ever find. The journey, and the strange creatures they encounter along the way, makes this a fantasy adventure that you just don’t want to miss. 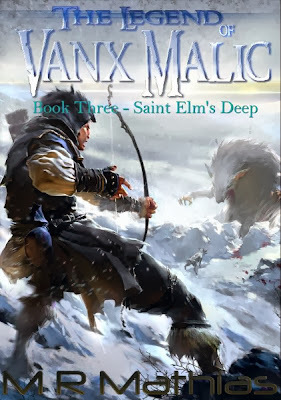 Action and adventure, drama and thrills, and a barrel-keg full of adventure await readers in Saint Elm's Deep, the third installment of M. R. Mathias’ The Legend of Vanx Malic. “We get a deep look at Vanx’s father Captain Saint Elm here, and the characters around Vanx are superbly drawn, complete with depth, emotions, and problems all their own. Especially, the Hoar witch” - Digital Wizard. And even better news, from October 1st through the 5th 2013, everyone can get The Legend of Vanx Malic Book One “Through the Wildwood” and Book Two “Dragon Isle” FREE in the Amazon Kindle Store here: http://www.amazon.com/dp/B009A0Q5D2 If you don’t have a Kindle, just get the free Kindle reading app for your phone, PC, or tablet. Then get the books. It is that easy. “Saint Elm’s Deep – The Legend of Vanx Malic Book Three,” is available for pre-order online at Amazon here: http://www.amazon.com/dp/B00F9IK6U2 and will officially release November 20th 2013.